Serena & Ford – Engagement Preview! This was my last engagement session on the books y’all, and it was kind of bittersweet…I’m still getting used to the idea that I’m giving up this amazing job, but it is already benefiting my family to have more of my attention and I know I will never get this time back with my precious children. 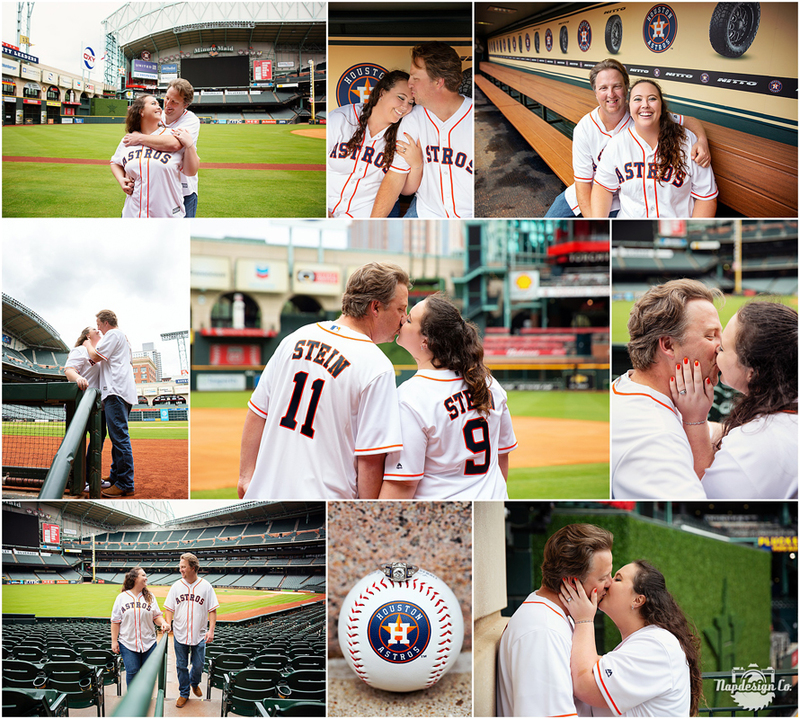 I was so excited when Serena contacted me last year and told me they wanted to have their engagement session at Minute Maid Park in Houston, which was also where the proposal took place! It was our first time there and the place was amazing, I can only imagine it packed! It makes my heart happy that we get to spend our last bridal session and wedding photographing this sweet couple in the Fall! They were so amazing to work with, so much fun, and I can’t wait to come back to Texas from Wisconsin to capture their big day! P.S. How many other Astros Fans out there?